The Life Hope Foundation feels strongly that the success and stability of the world community and marketplace depends largely upon the vision, values and character of its leaders and its people. Though it may not be politically correct to do so, the Life Hope Foundation espouses specific values that are based upon principles that are right and true, fundamental not only to successful world leadership but also to the peaceful co-existence of humanity. 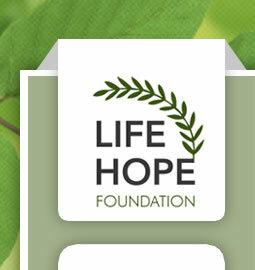 To facilitate the development of the world’s future leaders, the Life Hope Foundation began the Genesis Project, so named to reflect the idea of a re-birth of mindset and purpose in its participants. Because leaders are first and foremost individuals who have impact in their immediate spheres of influence in addition to their constituencies, this program makes a measurable difference in the lives of the participants and in their families and communities long before participants reach public office. But as they mature and take their place on the world stage having practiced patterns of personal leadership based on true principles, they will be better prepared to not simply run effective campaigns or manage government organizations for the greatest political gain (which is what they learn through traditional means), but to lead from the vantage point of character and commitment to basic principles and values that perpetuate freedom and truth in any land.